MONTHLY RENTAL - see House Rules below for details and information on shorter stays. Senior discounts available! 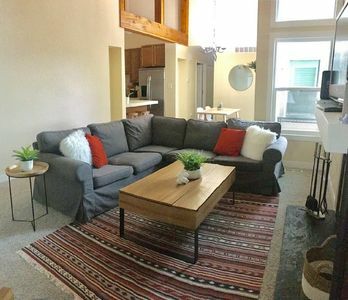 The Fir House is a fully furnished home-away-from-home and is available for holiday, vacation, honeymoon or anniversary, monthly, and corporate rental. 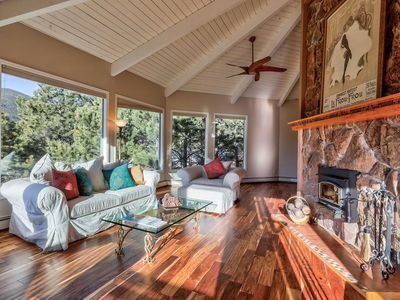 With all the charm of a 1930 bungalow, the Fir House is nestled on a mountainside at about 7400 ft. in elevation in a quiet residential area about 10 minutes north of historical downtown Evergreen. 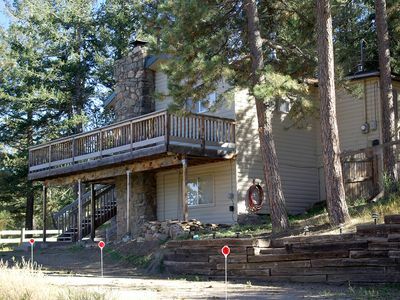 The house is set on 1/3 acre, mountainside, and is surrounded by a forest of Fir and Ponderosa pine. 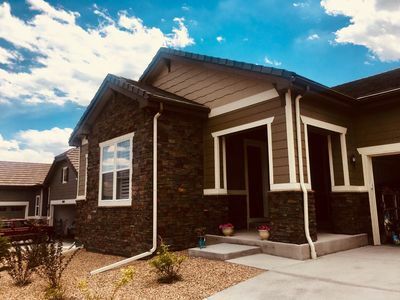 The house offers a perfect blend of mountain living with the convenience of city amenities nearby. The Fir House is approximately 1200 sq. 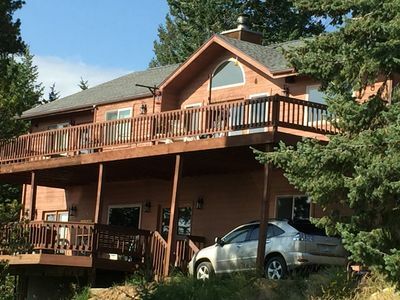 ft. with 2 bedrooms and 1 bathroom, and sleeps 3-5 people. The Fir House features a master bedroom adjacent to the living area. 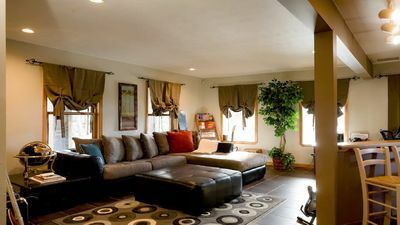 French doors open between to offer a pleasant view into the living area. Dining and living area are joined to create a cozy atmosphere. 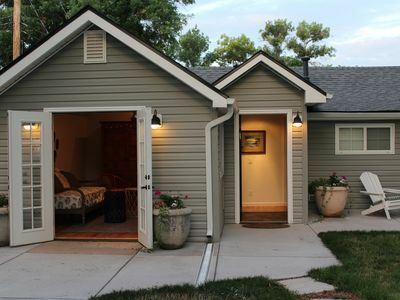 The house is fully furnished and comes with cable tv and internet. A large picture window opens to the forested mountainside and we rarely pass a day without a visit from deer, elk, or red fox. 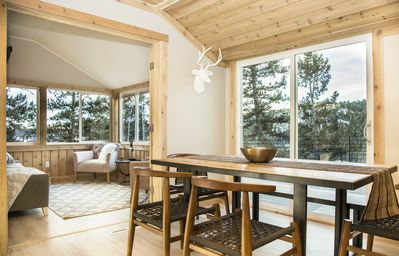 A wrap-around deck provides a view over the pine covered valley to the north. 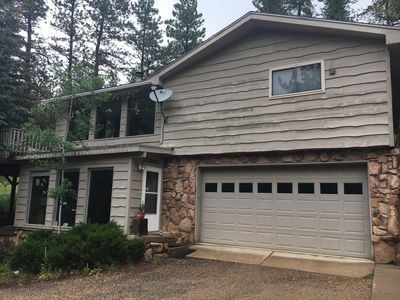 The basement is walk-out and the glass doors have afforded us many a close-up view of the deer that frequent the graveled area under the deck. There is a large private patio at the back of the house equipped with a gas barbecue and outdoor table and chairs. Outdoor lights light the area for safety and comfort. The rock fireplace appears to be original and the built-in convection system works beautifully to throw heat into the interior of the house. 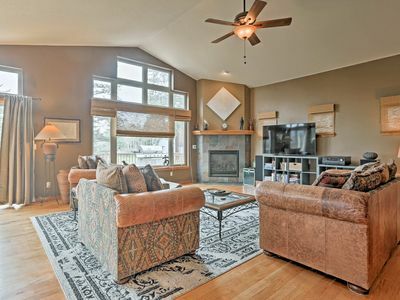 Work at the desk or enjoy the fireplace while relaxing with a good book or eating in the dining area. 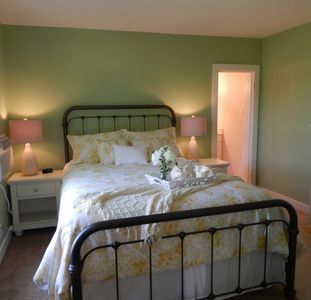 The second bedroom is located in the basement and a trundle bed is located in the downstairs family room. 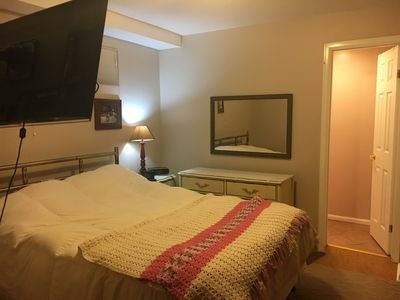 A laundry room with washer and dryer is located downstairs. 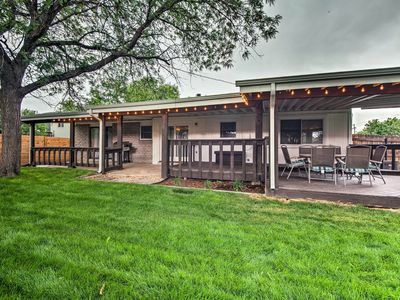 The driveway and extra parking area can accommodate an RV or boat. 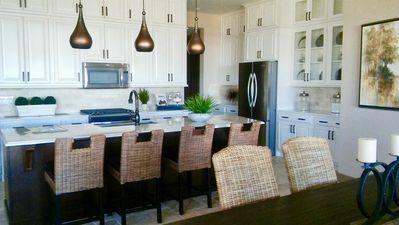 Local amenities are within 10 minutes and include grocery stores, superstores and convenience stores and a full range of fast food to elegant dining. The local King Soopers will deliver groceries to your door for a $10 delivery charge. And the Walmart is just up the road for affordable food and household items. There is also a Health Food store in the King Soopers shopping center. The Regional Transportation District services the residential area with a call-n-Ride shuttle bus. 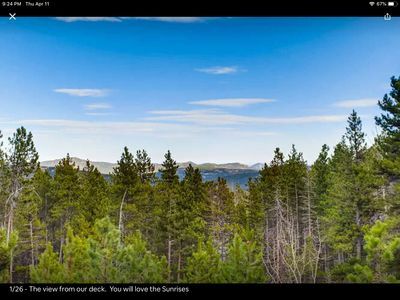 The call-n-Ride shuttle bus is available to take you to the local grocery store, a doctor appointment, and other locations in the Evergreen area, including the Bus stops that connect to the greater Denver area to the east, for work or for play, and the ski resorts and gambling towns to the west. Downtown Denver is a 40 minute drive and Denver International Airport (DIA) is a one hour drive. 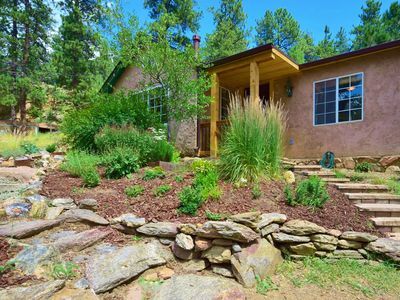 Use the Fir House as a home-base to see the region or use it as a private retreat where you can fill your day with the peace and quiet of the mountains, hike or bike on the numerous Open Space paths, ski or fish nearby, and visit the wonderfully quaint historic towns in the area. Be sure to visit the museums in Denver and the LoDo district for a taste of the local beers, wines and foods. 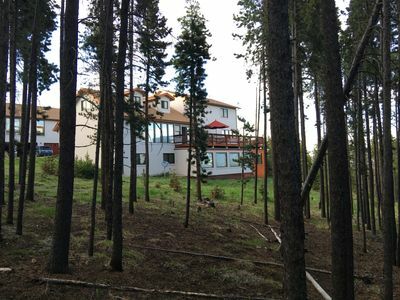 Several guidebooks to the local sights, mountain parks, scenic drives, hiking trails, resorts, events, festivals, entertainment are available for your use at the Fir House. Be sure to check online and at the Evergreen Area Chamber of Commerce too for more info about local services, activities, and events. The mountain setting and our Colorado weather make a 4 Wheel Drive Vehicle highly advisable from October to April. Beautiful one bedroom apartment in Victorian home, private, great location. 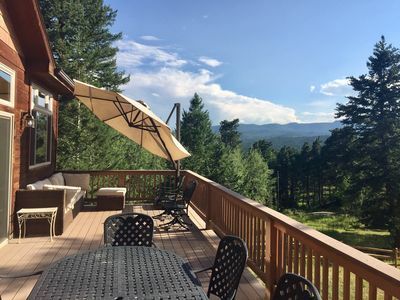 Colorado cabin in the mountains! 3100 sq ft to spread out! WOW 2 kings, 2 queens for you. 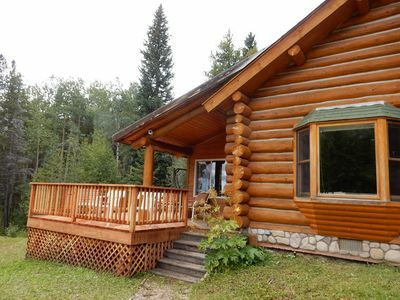 Charming Cottage Just Off Upper Bear Creek Rd. 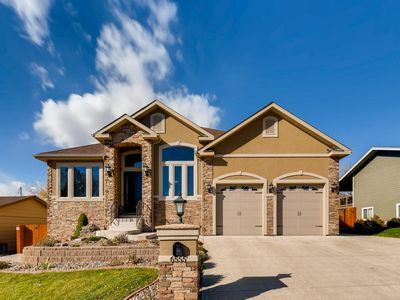 Privite Vaction Home, Near Denver, Boulder, and Mountian's 3 bd, 2 ba. 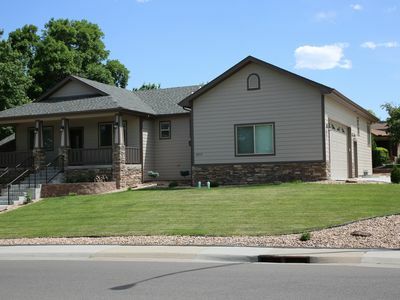 Old Town Arvada Family Home w/ Deck & Game Room!